During my recent trip to Los Angeles and San Francisco we’ve made a stop in several beautiful areas of Los Angeles. 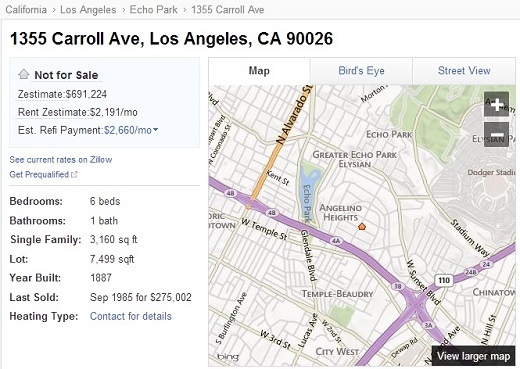 One of them is called Angelino Heights, a small quarter within the Echo Park. 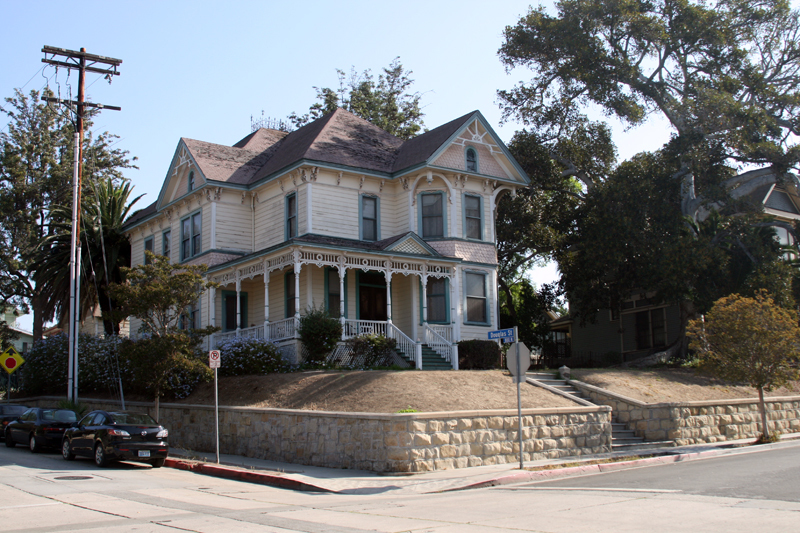 It is most notable for its Victorian era residences. We’ve soon realized that we’re at the wrong address. We’ve found our destination a few yards down the road: Don’s childhood home. 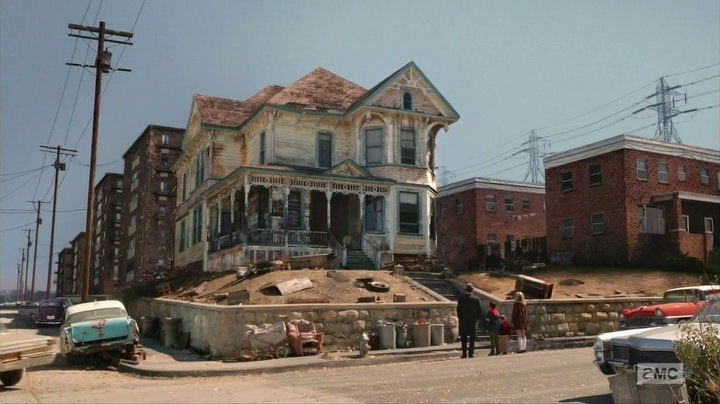 However, the “real” house and the house from the show (see below) were not that similar after all. 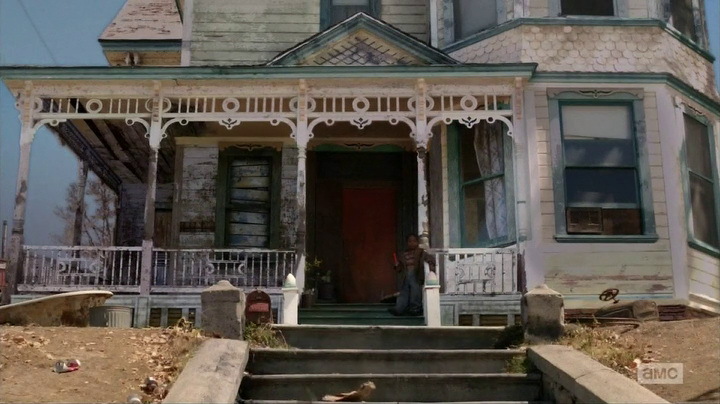 The CGI used in the show changed the house and its surroundings quite a lot. I’m sure you remember: Don’s home was supposed to be a brothel somewhere in Pennsylvania. According to Zillow.com, a home and real estate marketplace, the house, used for Don’s home, was built in 1887. It’s a 3,160-square-foot (294 square meters) single family house, valued at just under $700,000. It has six bedrooms and one bathroom. 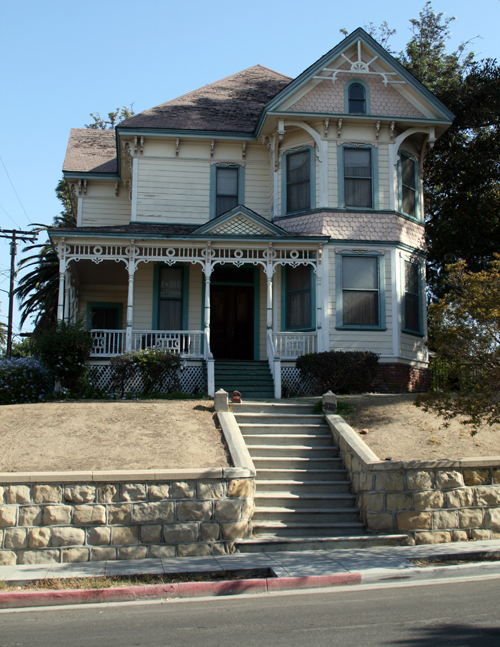 As I said, Angelino Heights is a nice area that has been used in movies and music videos before: scenes from Chinatown and LA Confidential were shot there, as well as Michael Jackson’s music video Thriller. You might find this blog post interesting, too: We’ve found Don Draper’s home!